From a small repair shop in Roseberry, Arncliffe Car Repairs has grown into one of the leading and technologically advanced automotive repair shops. Our premises are conveniently located at 138 Princes Hwy, Arncliffe, with a very close proximity to Sydney Airport, train stations and major roads leading to CBD and surrounding business districts. We are authorised and recommended repairer for a number of automotive manufacturers and a number of major dealerships. We employ only highly qualified and experienced tradesman. We use the best panel beating and spray painting equipment, paints and materials available on the market. We have a stringent quality control system with careful checks and examinations performed on completion of each job. 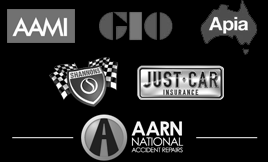 Our company is a recommended repairer for all major insurance companies such as AAMI, GIO , A.P.I.A , Just Cars and Shannons. We are proud to be preferred repairers for: Sydney Motor Group: Nissan , Renault , Suzuki and Larke Hoskin Honda Dealerships. Also we are recommended repairer by Australian Accident Repairer Network. Arncliffe Car Repairs © 2019. All Rights Reserved.